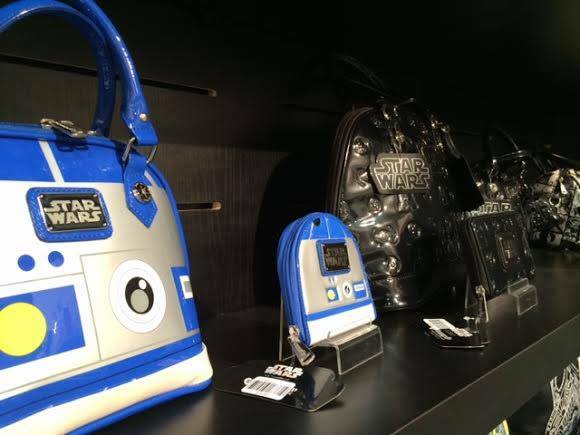 It was completely by accident that I came across the brand Loungefly – I spotted a photo of an R2-D2 handbag during a regular Star Wars search on Pinterest, that had nothing other than ‘Loungefly’ in the notes. 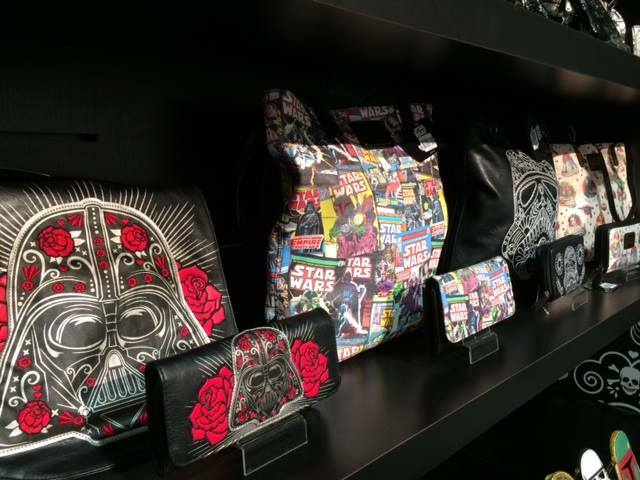 Looking up the brand’s website and Facebook page, I found they hold several licences (such as Disney and Hello Kitty) for handbags and wallets, and that they had recently announced a Star Wars collection. Preview photos of their upcoming Star Wars items appeared on-line after a trade show, and I have been eagerly awaiting their release for general sale. 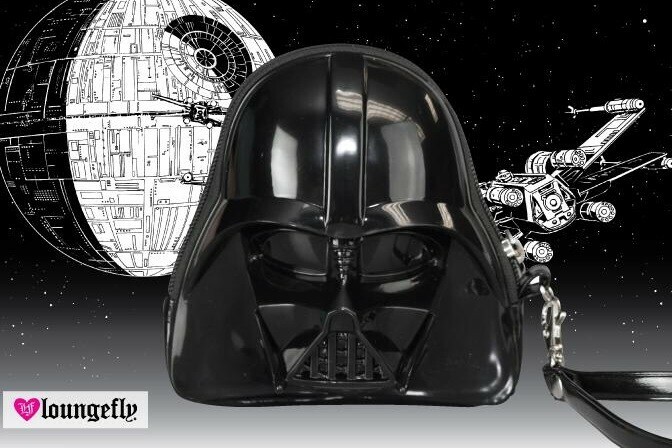 October 21st saw the first item in their Star Wars range come up for sale – Darth Vader 3D coin clutch bag. Spotting this announcement 10 days late (I was caught up with our local annual convention), I seem to have missed the sale on Loungefly.com, but thankfully it is still available for purchase on a variety of other fashion sites. 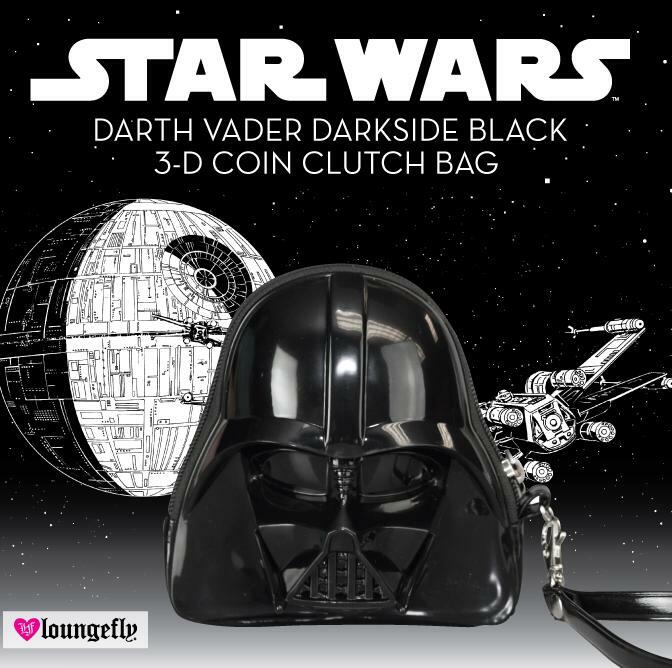 Loungefly’s on-line store doesn’t ship outside the United States, so I was happy to find other fashion sites stocking the Darth Vader bag that ship internationally. 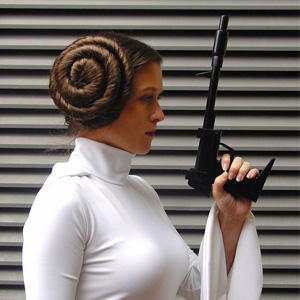 A few sites also have in stock a set of Star Wars stud earrings by Loungefly, so I will definitely be keeping a more watchful eye for further release announcements for the other items in their collection – especially those R2-D2 bags!